Simply magnificent. 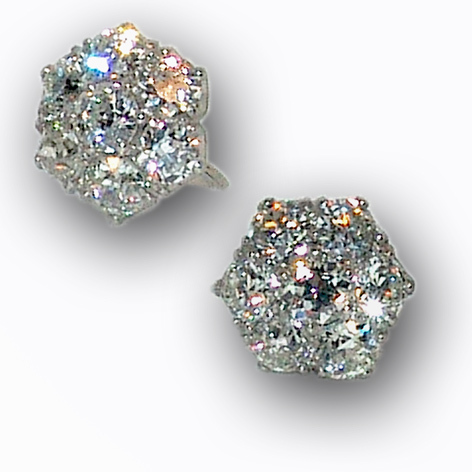 A rare pair of original 1930s diamond cluster earrings, approx 5.56 cttw, in Platinum screw back mounts, easily converted to post for pierced ears if desired. These diamonds are master cut to provide the most scintillating splash of colour and super bright flash available in diamonds. Stunning is the word.